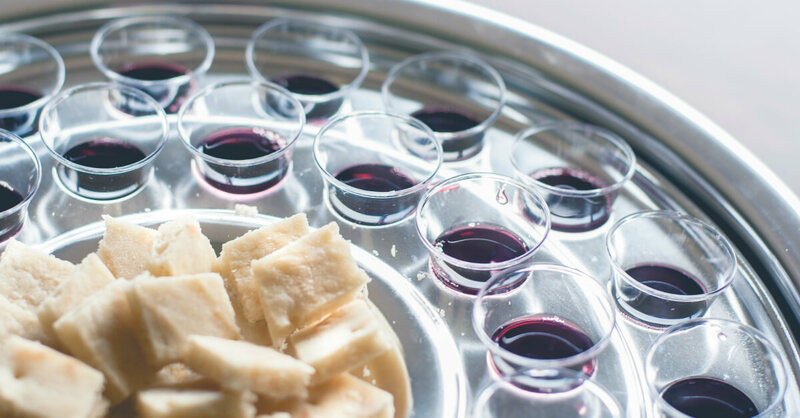 Teaching the meaning of communion and how it is a sacred part of their relationship with Jesus is one of the most meaningful things we can do for our kids as parents. Some of my earliest church memories involve communion plates. Watching those shiny discs pass by me for years before I could partake of their contents drove me crazy. At the time I had no idea how sacred they were. As a young child I simply wanted a snack, and who could blame me in the middle of our 2+ hour church service? As deacon’s kids, my siblings and I used to get free-reign over the matzoh and grape juice leftovers. We’d hide out in the communion room enjoying our spoils while Dad and a few other men counted the offering. Oh, we meant no disrespect to the sacraments. We were just innocent, starved, Charismatic kids on a normal church morning where breakfast was served at 8 am on the way to Sunday School and lunch didn’t happen until way after 2 pm on a good day. I hope my reminiscing doesn’t offend anyone. I truly hold the sacrament with utmost respect. I’d like to think Jesus, himself, let out a little giggle when he observed my husband and I cleaning out the pockets of our 5-year-old communion thief. These are just stories, told with years of tender fondness felt in my heart for all of my beloved church traditions, but most of all this one, which I believe can be shared with children, even before they begin to fully understand and partake in it. Depending on your church and denomination, you may have a wonderful process for teaching children about communion. But if you do not, and you’ve wondered when and how it might be appropriate to begin teaching your child about communion, consider these tips. Tell Your Own Story – whether you were prepped and groomed for an official First Communion ceremony or you found yourself enjoying stale matzoh before learning about what it stood for, share with your child how you were introduced to communion and what it means to you. 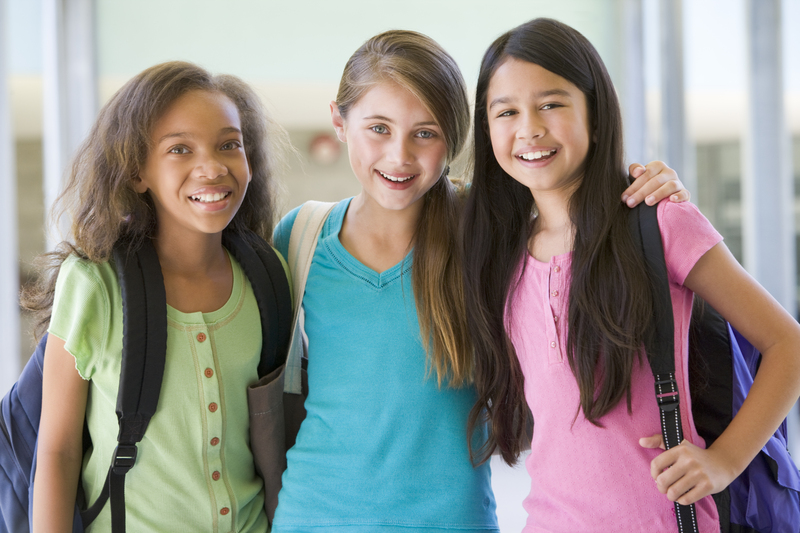 Tell about the first time you took communion and invite your kids to pray about partaking when they are ready. Let Them Observe – the first time we had a family Sunday and we felt our oldest was ready to partake in communion, she didn’t want to. I had assumed she would understand or (like me) be enamored by the symbols. Of course we didn’t push. We simply let her watch us take it while listening to the Pastor’s words, sharing what each part represented. The next time the opportunity arose, she was ready because she had a better understanding of the symbolism. 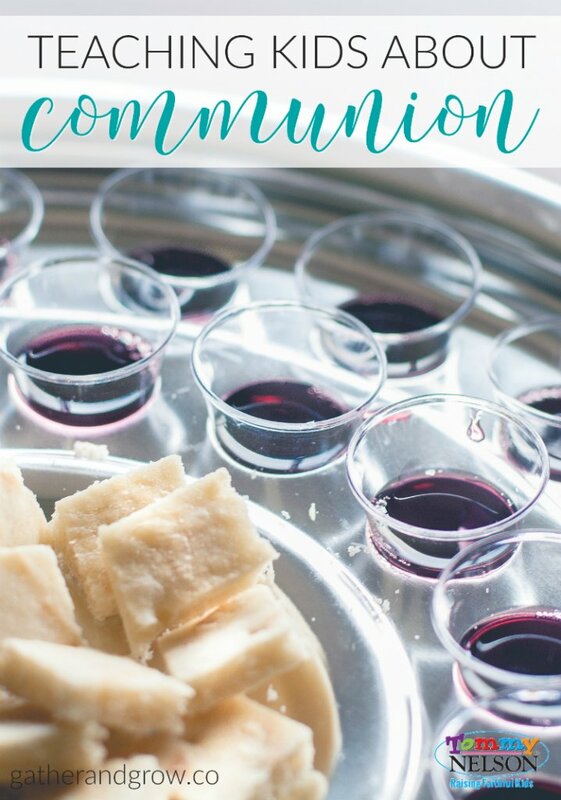 Take Communion at Home – My dad used to lead our family in at-home communion on a regular basis. I think it was one of his favorite things to do as the leader of our household. 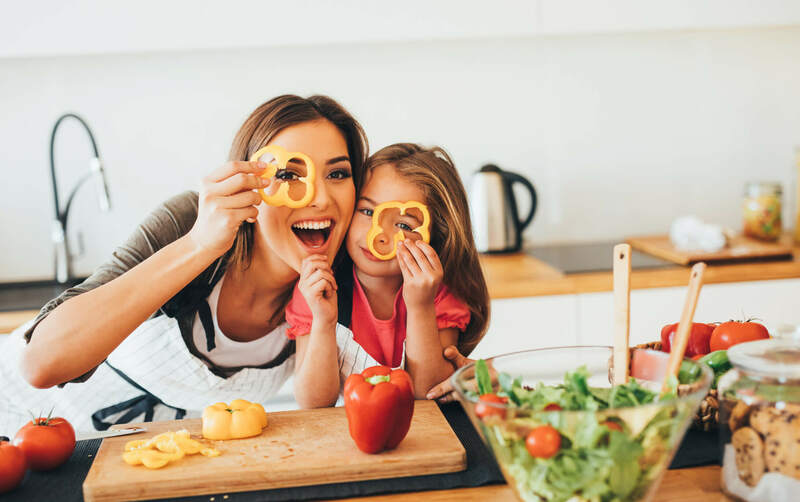 Taking communion at home as a family can be a precious time of spiritual connection and growth. 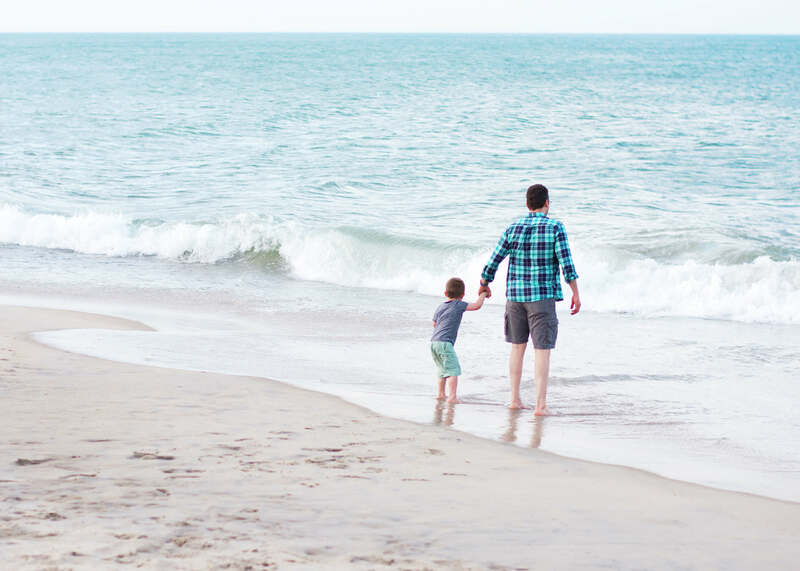 Without the formality of a church service, parents are given the freedom to share more about the sacraments and their meaning. Use Holidays to Shed Light on Communion – Passover begins today. We’ll be sharing communion this weekend as part of a family Passover meal. You can use this week to talk about communion and then decide if your child is ready to partake at your Good Friday service or on Easter. Or, you can have your own communion service at home to commemorate The Last Supper. Putting symbols into context (especially within seasons children are already excited about) will help them come alive for our kids. Carefully Explain the Symbols of Communion – The bread, representing Jesus’ body, which was broken on our behalf. The cup, full of his blood, shed to offer healing and hope. These symbols may seem intense to a child but the reality is, Jesus’ death was an intense gift; a literally life-changing, miracle for all of mankind. Read Luke 22:19-20 as you share the meaning of communion. I love the ICB version which uses language kids can easily understand. And this is the part where kids might get big eyes. An agreement made with blood? Sounds a little like spooky. But this is our opportunity to share the gravity of Jesus’ sacrifice with our kids. It sounds intense because it was. He gave his life for us. For them. He shed his blood so that the old covenant (agreement) requirements could be replaced and fulfilled by him. This new covenant (or promise) requires nothing of us but our willingness to accept the gift and follow Jesus. Do this to remember me. These words, spoken by our Savior at his last supper hold the true meaning of this tradition. Each time we partake in communion and remember Jesus’ body and blood, we honor his sacrifice and commit once again to walk in the freedom we have through salvation. Yes, I have fond, light-hearted memories about communion but the truth is, it’s no laughing matter to me. Communion is a precious, holy reminder that our life was bought with a price by a Savior who loves us intensely enough to die in our place. This is the part of the story that I hope hooks my children’s hearts, leading them to abandon every one of earth’s pleasures for the promise of life and eternity with Jesus. Have you shared communion with your child yet? 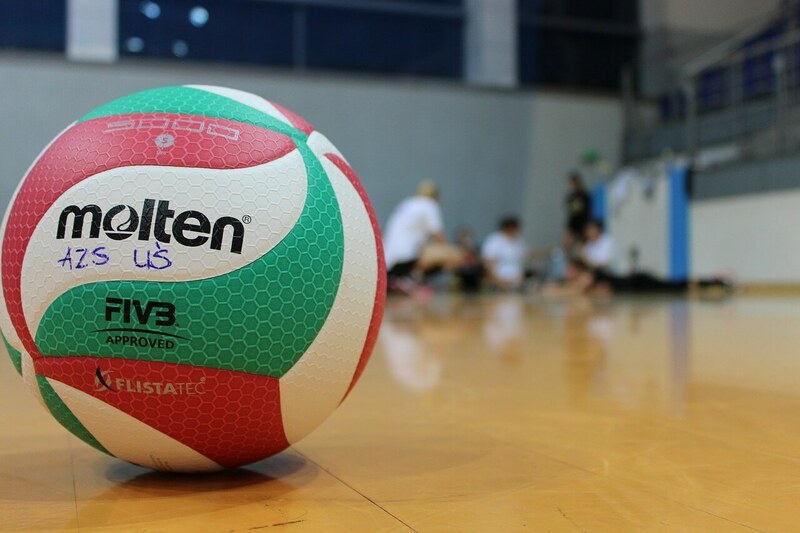 Do you have special or fun stories to share about taking part? 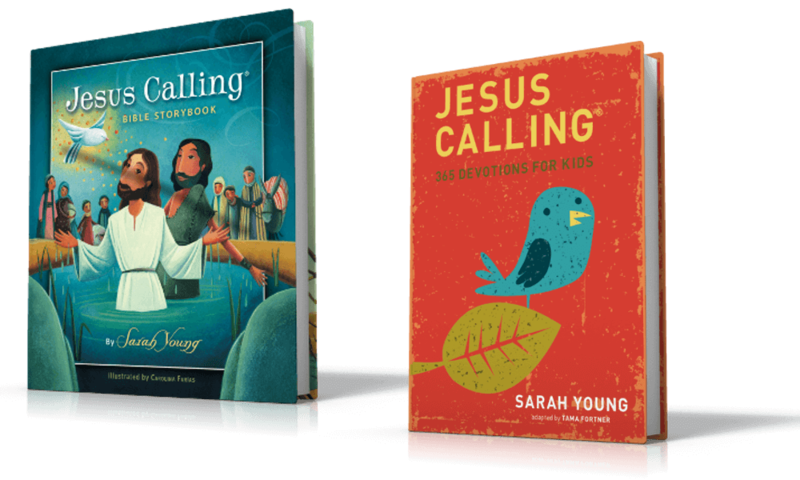 The International Children’s Bible translation is one of my favorites to use with kids and now it includes devotions from Sarah Young’s bestselling Jesus Calling! The Bible is beautifully illustrated and purposefully laid out. 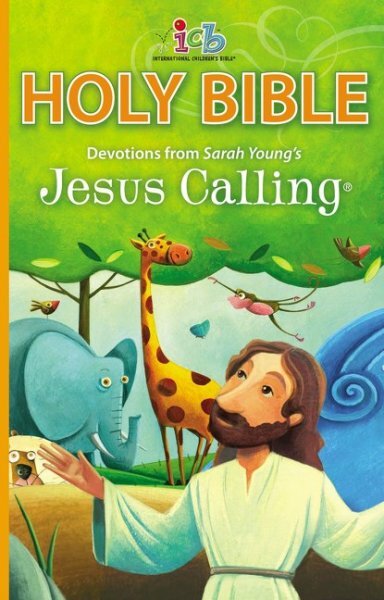 It’s the perfect “next-step” Bible for kids who are ready to read full text but still want images and short devotions to go along with their reading. Communion is such a precious and intimate part of a Christian’s life. By teaching and sharing your heart about this tender act of obedience and worship, we are giving our children the best insight they can possibly have on the subject. 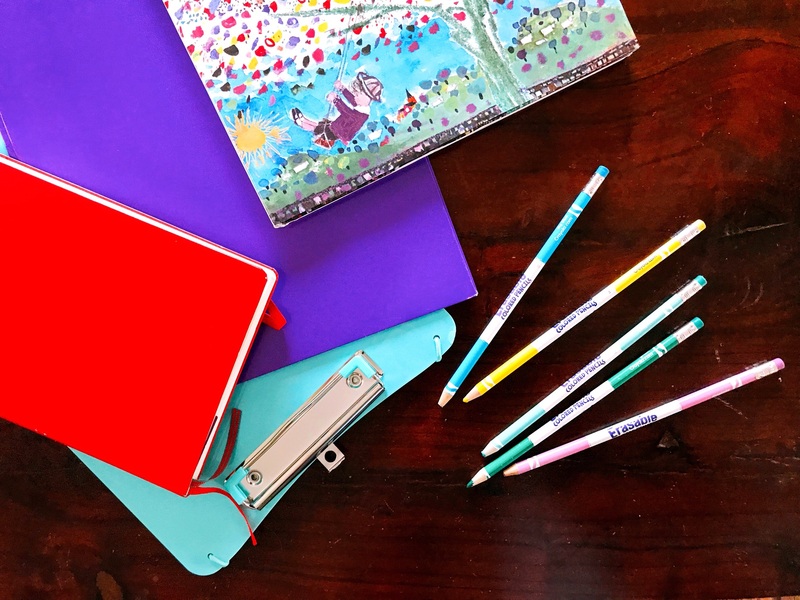 This entry was posted in Blog, Tommy Nelson and tagged Communion, Holy Communion, ICB Jesus Calling Bible for Kids, Passover, Teaching Kids About Communion, The Lord's Supper by Jessica Wolstenholm. Bookmark the permalink.